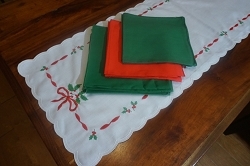 This is a versatile table runner! 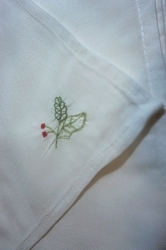 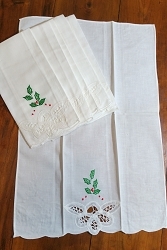 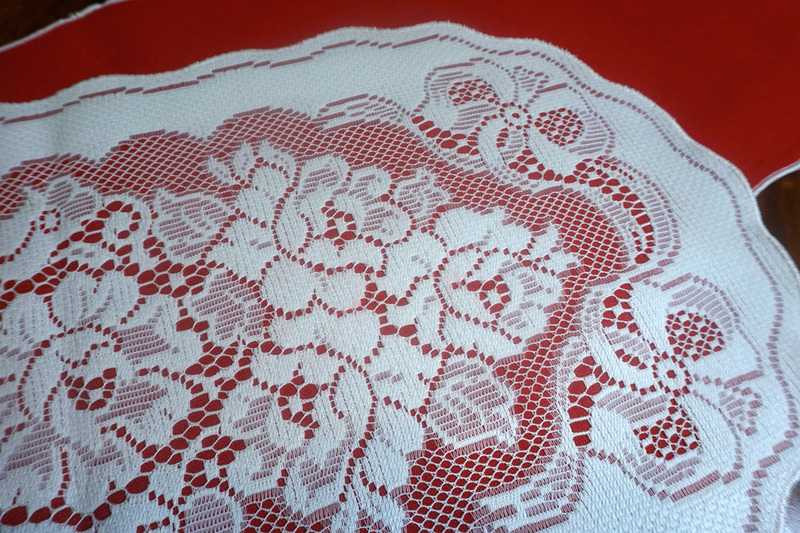 One side is lace over a red solid background; reverse it and use just the red side. 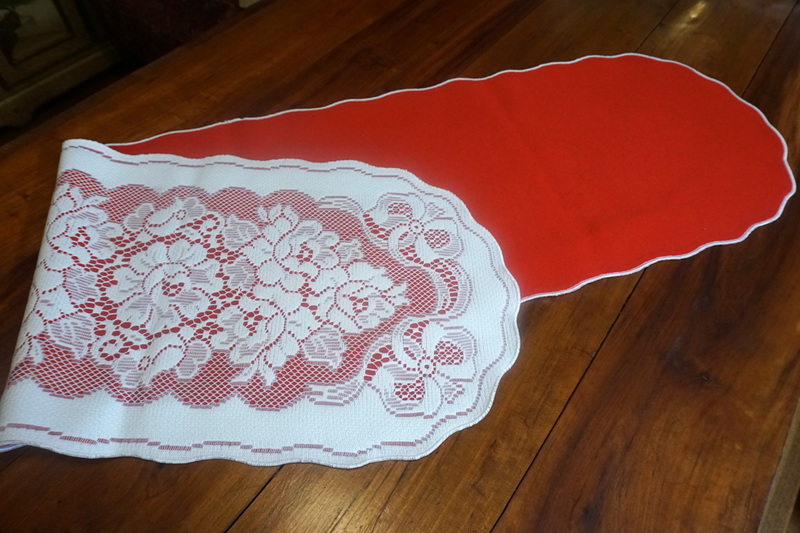 52" x 13", appears unused.